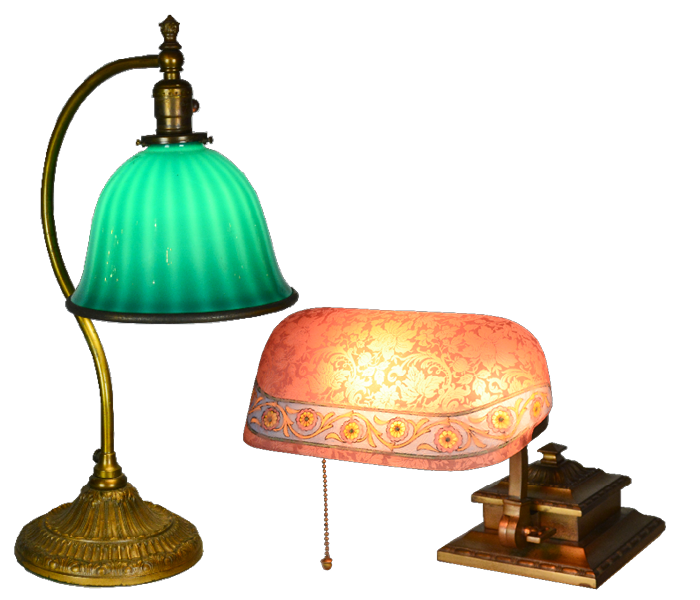 Vintage Glass Lighting (VGL) offers unusual and decorative antique lighting. Owner, Jefrey Bacal has been buying and selling these pieces for the past twenty years. His passion for this kind of vintage lighting has evolved into a stunning collection of over 200 distinctive pieces including vintage table lamps, floor lamps, sconces, and chandeliers with manufacturers like Handel, Pairpoint, Jefferson, Phoenix, Pittsburgh, Emeralite, Bellova, and so much more. Jefrey invites you to open your eyes to some of the most exciting and colorful lighting you’ll find. These decorative lighting fixtures will be an astonishing addition to your home, office, or any special place you find peace. If you have an antique lamp that you’re looking to sell, Vintage Glass Lighting would be thrilled to talk with you. Light is an important part of our daily lives, whether in our homes or that special place we like to relax. Vintage Glass Lighting can spark excitement in your life, create a mood or emotion, and give you comfort when you turn the switch. Besides providing light, antique lighting is a beautiful art form and a good investment. I believe the right light can enhance your life. My passion for unusual and decorative lighting is the reason Vintage Glass Lighting was created. Copyright © 2016 Vintage Glass Lighting | Website designed and managed by LMS Solutions, Inc.